Everyone has a friend who can seemingly drive for a week with the low fuel light on. Maybe you are that friend. How can be it that there are seemingly gallons of gas left in the tank even when the tank is reading empty? Why does your gas tank read empty but it actually isn’t? It’s really all in the gas gauge and how it reads the gas left in the tank. 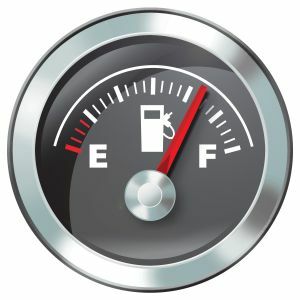 Understanding how the gauge works and how to read the real level of gas in your tank can help you drive the farthest you can, even when the tank says empty. Believe it or not, gas gauges were not found on the first cars. They were a much later addition. It’s kind of like how it is on older motorcycles where you open the tank to see what the fuel level is. That’s what early drivers did. Next came along a dipstick, not unlike the ones used to check the oil in an engine. Drivers would pull out the dipstick to check what the level of fuel in their tank was. These were arguably just as accurate as the gas gauges of today. The big difference is that you don’t need to use a dipstick every time you want to know how much gas you have. There are many different types of gas gauges if you look at the different dashboards on cars. Some are sleek and digital while others are old school style with a needle that seems to float up based on the level of gas in the tank. It may appear like the digital ones are much more accurate, but that’s not necessarily true. In reality, they are all basically the same. 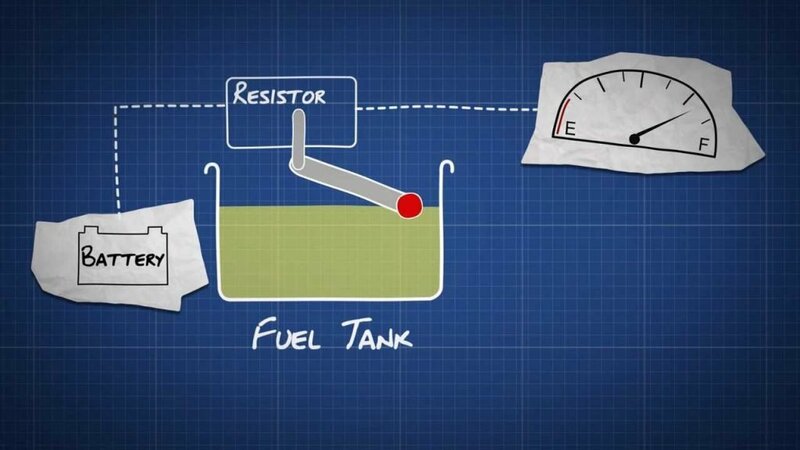 They rely on a sending unit in the tank to send an electrical signal showing the level of fuel in the tank. They are merely reporting the signal they get from a very generic sending unit in the tank. The gas gauge in your dashboard is connected to a sending unit in your tank. It receives the signals from the sending unit in the tank. The sending unit in the tank is the real gas gauge and knowing it works gives you an idea of why you can still have gas even when it is saying you are on empty. The gas sending unit is basically a float and not terribly unlike the float in your toilet tank. When the tank is full, the float is pushed to its highest level. In fact, the level in the tank can actually be higher than the float itself. This is why your tank usually stays on full for a while after filling your tank. The level needs to come down enough to allow the float to freely float. The same principle applies when your tank is empty. Because of the frame of the float, the float never really hits the bottom of the tank. Importantly, the frame height in the tank is different on every model of car. The float is connected to a resistor in the sending unit. As the float goes down, the resistance changes. This change in resistance changes the voltage signal that is sent by the unit. This causes the dashboard gas gauge to change its level. 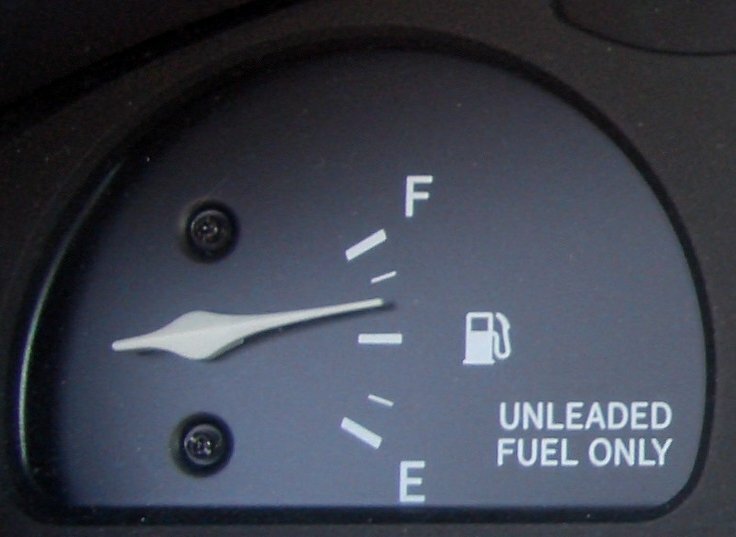 When you look at your gas gauge, you are really just looking at a float going up or down. It’s important to realize that it’s a float that represents your gas tank level. If you are parked on a slope, your gas tank will either read higher or lower depending on where your sending unit is located. If you have crud or corrosion in your tank, this can affect how your float is operating. 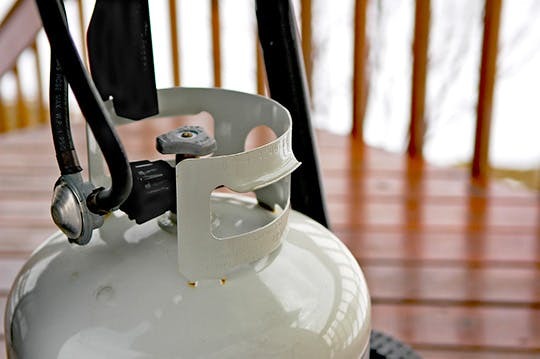 In fact, a faulty gas gauge can be caused by a sticky float. Replacing the sending unit is a first step in fixing a broken gas gauge. There are a couple of scientific ways to figure out just how much gas you have in your tank at any one time and that’s by measuring the hydrostatic pressure. Gasoline, like other liquids, has a known density at specific temperatures. By knowing the density of the gasoline and the temperature, then it’s a fairly simple process to know the exact amount of gasoline in a tank. There are two ways to measure this hydrostatic pressure. A hydrostatic pressure gauge can provide a pressure reading that can be translated into a given volume fairly easily through calculations. A hydrostatic pressure transducer, on the other hand, creates an electrical signal for the pressure and this can be used in microprocessor circuits to calculate the exact amount of fluid in a container. 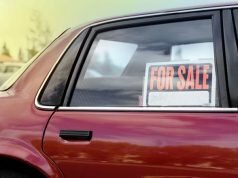 Vehicles generally don’t use a hydrostatic pressure gauge or pressure transducer to figure out how much gasoline is left in the tank because of the cost to benefits ratio isn’t usually beneficial in a car. Generally, people know they need gas when the low fuel light goes on and knowing precise fuel levels are not that important to most people. The float sending units are accurate enough for most people. You could go to a shop or purchase your own hydrostatic pressure gauge to take regular hydrostatic pressure measurements. You could correlate these with the level on your dashboard fuel gauge. A series of measurements would give you a good indication of the real fuel level, but even then the inaccuracies of your fuel-sending unit would insert a significant opportunity for error. Generally, as a layperson, you will use trial and error to figure out your real level. Follow these bullet points and you’ll soon have a good indication just what you real fuel level is at any given time. * Find out your fuel tank capacity. Your manual will have it in the back. * Always fill your tank when you buy gas. * Always stop pumping when the pump stops the first time. * Note the gauge level before you start pumping and note how many gallons it took to fill it. 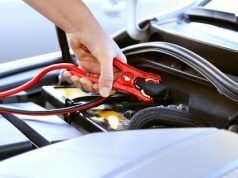 With your newfound knowledge about gas gauges and how to really read your gas level, you now have the knowledge as to why you can still drive your car even when your gas tank says empty. 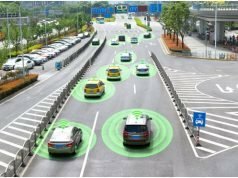 Next articleWhat Does LTE Coverage Really Mean?